Seriously it's getting crazy how many great shows are coming to Austin. With SXSW rapidly approaching next month, it just doesn't let up after that (Ratatat, Morrissey, Black Kids, Franz Ferdinand, The Kills, Death Cab for Cutie, Flight of the Conchords, Animal Collective, and many more). Ladytron just announced their 2009 tour plans, which include support from The Faint (we had a great time at their show last August) and a DJ set by Figo Crocodiles. 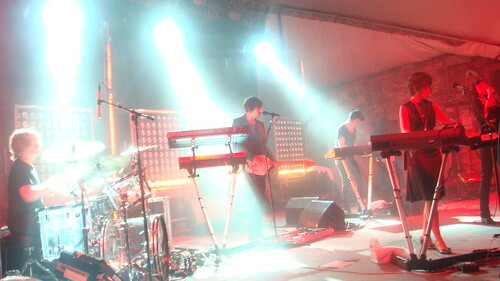 They will take Austin by storm on Tuesday, April 21st at Stubb's once again (they were awesome last June). Ticket info should be announced soon. Update: Tickets go on sale this Friday, February 13th at 10am for $25. Buy them here. Crocodiles are joining them on tour now. Halfway through May, Ladytron will open a few dates for Depeche Mode in Europe.